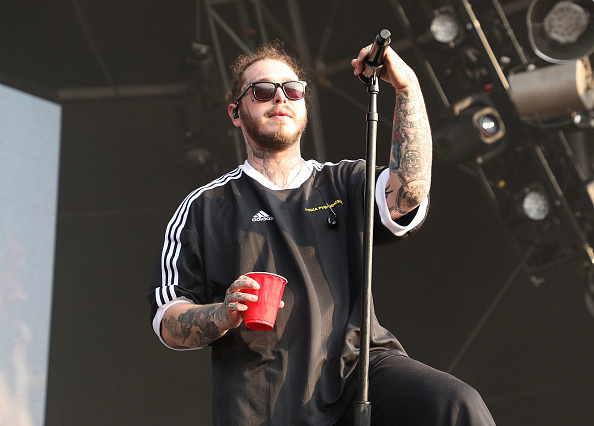 American artist Post Malone is about as well known for his tattoos as he is for his infectious, chart-topping music. The Texas-based singer, known for his string of hits including White Iverson, Rockstar and Congratulations, is no stranger to getting ink on his face but his latest piece speaks volumes. The fresh tattoo was revealed on Instagram yesterday by Minneapolis-based photographer and videographer Adam DeGross. In DeGross’ Instagram bio, he describes himself as Post’s personal tour photographer, this means part of his job is to document the rapper and singer-songwriter’s life on the road. In his most recent post, he shows an intimate look at Post getting hooked up with some sweet new ink by tattoo artist Chad Rowe. As you can see from the DeGross’ post, Post Malone got the word’s ‘Always Tired’ tattoed underneath his eyes. This isn’t the first tattoo Post Malone has inked on his face, around his head he’s got a crown of thorns (á la Jesus Christ) and above his right eye, he has the words ‘Stay Away’, which is next to a design of a crucifix. 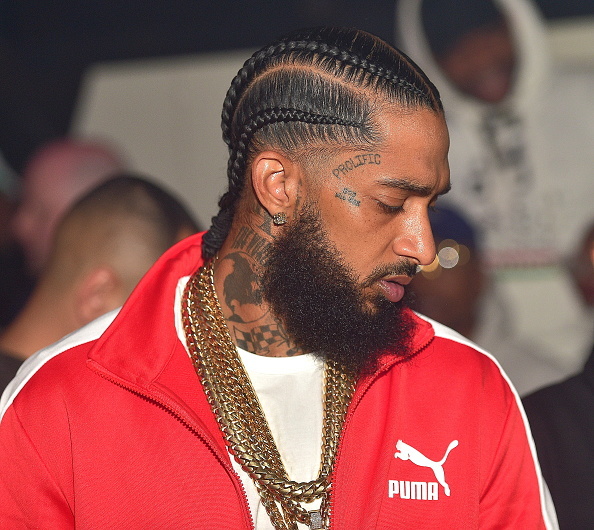 Established Hip-Hop artists like The Game, Nipsey Hussle, SchoolBoy Q and Dave East are well known for sporting face tattoos, while the younger generation of internet rap stars such as the late-Lil Peep and Lil Pump to the problematic XXXTentacion and Tekashi 6ix 9ine (new school rap is strange) have also jumped on the trend. 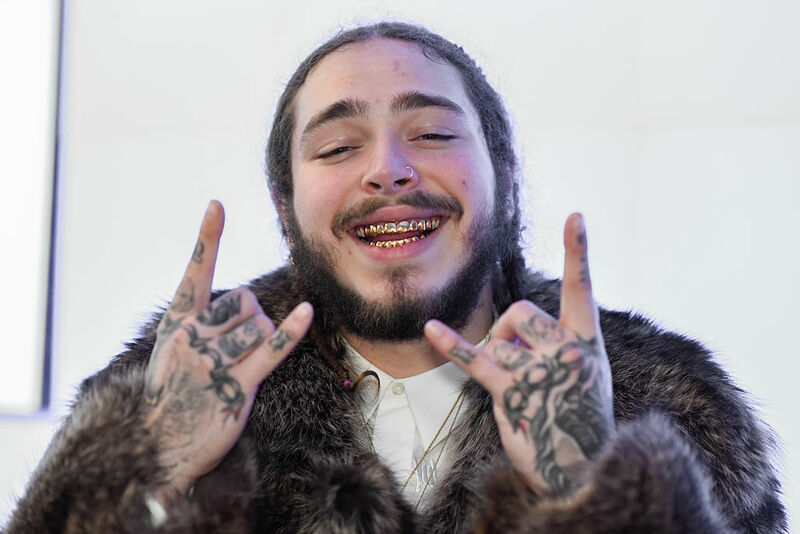 On May 9, 22-year-old Post Malone (real name Austin Richard Post) broke a record, previously held by The Beatles for 54 years. As well as achieving the most single-album sales and the most streams of any album in a week so far this year, in May, he also managed to land nine songs in the Billboard Top 20 at one time. This completely shattered the record of six, previously shared by The Beatles and Hip-Hop artist, J.Cole. J. Cole tied the mark just last week (on the chart dated May 5), fueled by the No. 1 Billboard 200 bow of his latest album, KOD. Regardless of how you feel about Post Malone’s music, you can’t deny the Rockstar is currently killing it with the hits. But remember kids, tattoos aren’t just for Christmas – They’re for life. Until you can afford the laser surgery that is. If you have a story you want to tell send it to [email protected].